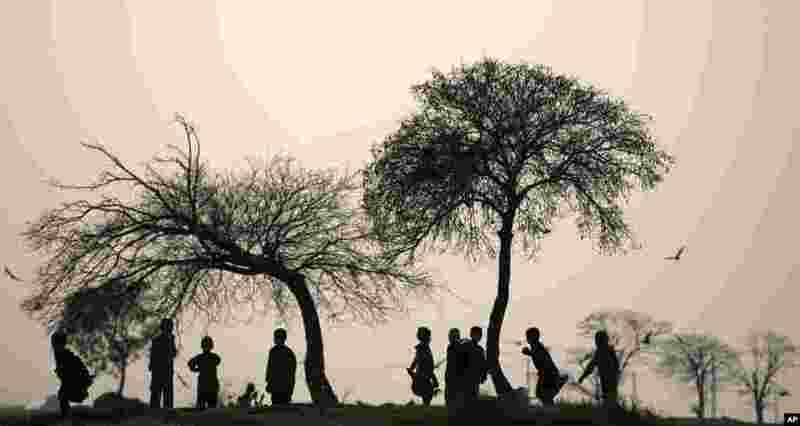 ۱ Afghan refugee boys play in a field on the outskirts of Islamabad, Pakistan. 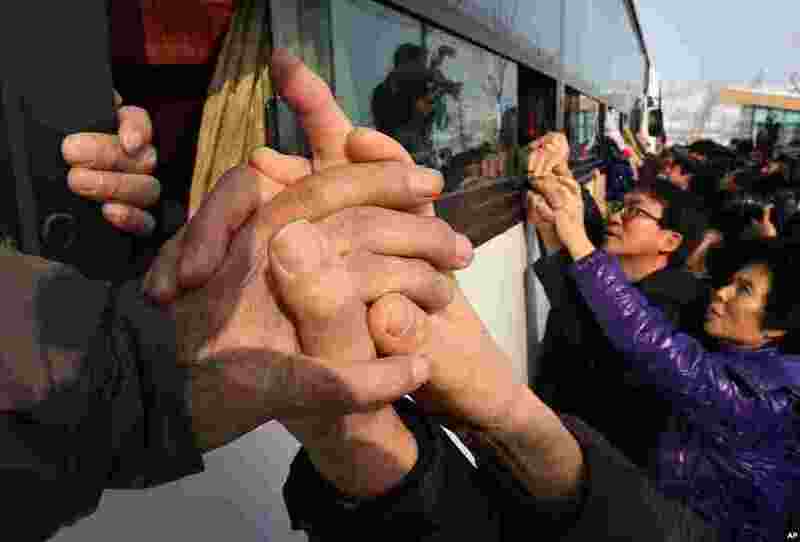 ۲ South Koreans hold their North Korean relatives' hands after the Separated Family Reunion Meeting at Diamond Mountain in North Korea. 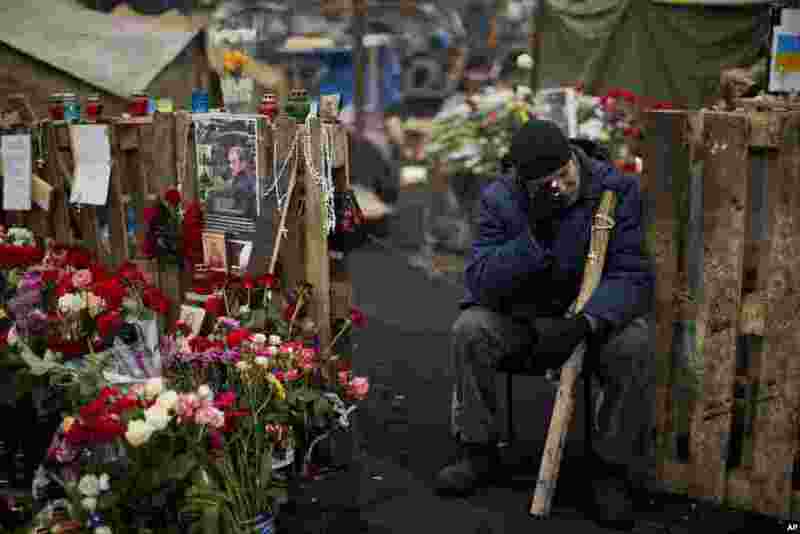 ۳ An anti-Yanukovych protester cries near a memorial for the people killed in clashes with the police at Kyiv's Independence Square, the epicenter of the country's current unrest in Ukraine. ۴ A man sits on a chair in the house of Ukraine's former prosecutor general Viktor Pshonka in the village of Gorenichy outside Kyiv. 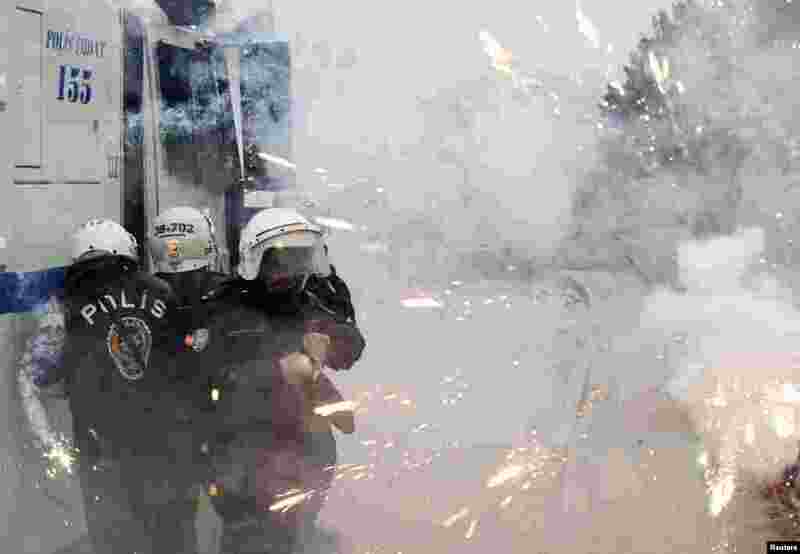 ۵ Riot police take cover as protesters use fireworks against them during a demonstration against the opening of a new road including a part of the Middle East Technical University campus in Ankara, Turkey. ۶ Palestinian youths practice their parkour skills in Jerusalem's Old City. 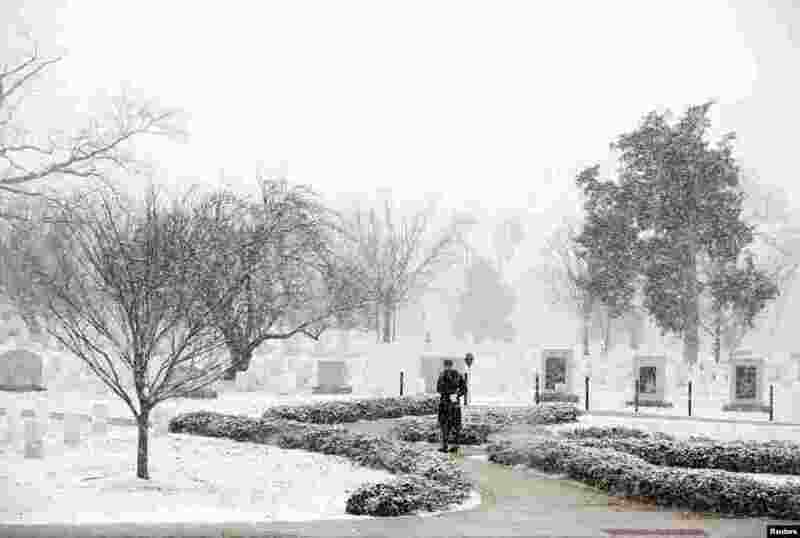 ۷ A member of the honor guard awaits the arrival of Georgia's Prime Minister Irakli Garibashvili for a wreath laying ceremony at the Tomb of the Unknowns in Arlington National Cemetery in Arlington, Virginia, USA. 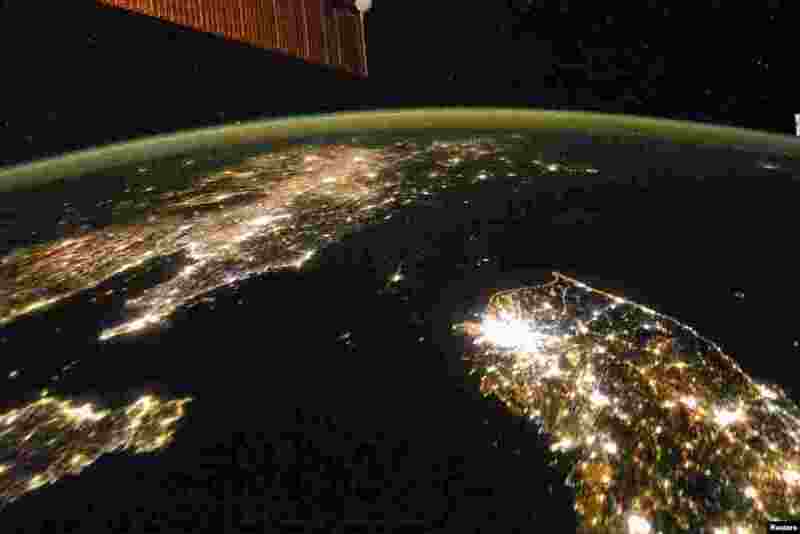 ۸ Photo taken by the Expedition 38 crew aboard the International Space Station (ISS) on January 30, 2014 shows the night view of the Korean Peninsula, and North Korea in the middle is almost completely dark compared to neighboring South Korea (bottom right) and China (top left).